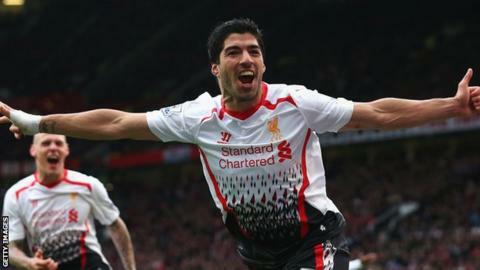 Luis Suarez has been picked as the greatest January signing by BBC Sport users. We asked you to rank 10 signings made by clubs in the January transfer window, with 61% choosing the former Liverpool striker as their first pick. The Uruguay international moved to Anfield in 2011 for £22.7m and went on to score 82 goals in 133 games, before leaving for Barcelona for £75m in 2014. Manchester United defender Nemanja Vidic (26%) was second, while team-mate Patrice Evra (3%) was third. The pair moved to Old Trafford in 2006 and went to help the club win five Premier League titles and the Champions League. Liverpool striker Daniel Sturridge was picked fourth, while Chelsea defender Gary Cahill was fifth. You got in touch with BBC Sportsday with some other suggestions for the best ever January signings. Sorry, this content is no longer available. Take part in our Premier League Predictor game, which allows you to create leagues with friends.